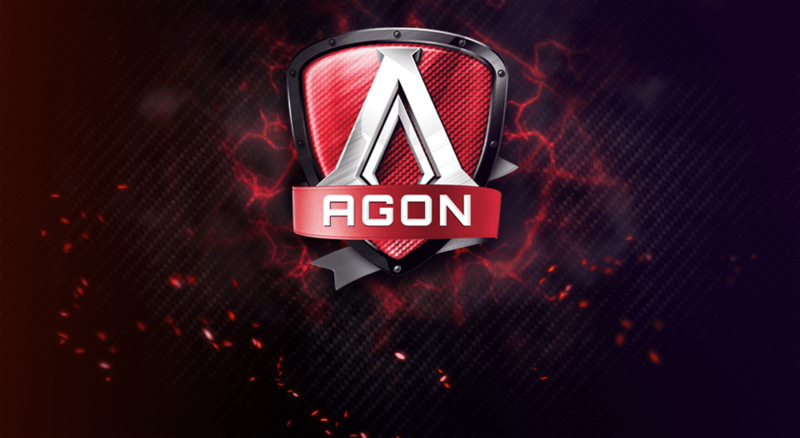 The AOC AGON AG271QG delivers an amazing gaming experience thanks to its whopping 165Hz refresh rate, rapid 4ms response time, and Nvidia G-Sync technology. Not only do video games run buttery smooth on this gaming monitor, they look amazing too; the true 8-bit IPS panel with 100% sRGB color space coverage ensures accurate and vibrant colors, producing high-quality and crisp 1440p pictures. Moreover, unlike most gaming monitors, the AOC AG271QG features a modern but elegant design without the cartoonish and flashy gamer logos and gimmicks. The AOC AGON AG271QG possesses all the key features one demanding player might desire, from responsive gameplay to rich and vivid details. The IPS panel of this gaming monitor delivers consistent and precise colors unachievable by other panels, making this monitor also adequate for beginner-level designing. Additionally, with this panel, you will have impeccable viewing angles of 178 degrees both horizontal and vertical, which will allow you to enjoy a flawless image quality no matter at which angle you’re looking at the screen. The 165Hz refresh rate along the quick 4ms response time ensures smooth and fluid gameplay experience. You won’t be able to notice any ghosting and blurring of fast moving objects. This will also give you the edge over your opponents in fast-paced FPS video games as you’ll be able to spot your enemies faster and shoot ’em down before they even realize what hit them! Although TN panel monitors can have a quicker response time at 1ms, the IPS panel is superior when it comes to color quality and viewing angles. However, with IPS panel monitors, you will notice slight backlight bleeding at the edges of the screen, but it’s only visible on very dark backgrounds, so it’s neglectable. When it comes to the performance of the AOC AGON AG271QG, the Nvidia G-sync technology makes gameplay as smooth as possible, that is if you have a compatible Nvidia graphics card connected through the DisplayPort. Once you enable the G-Sync feature, the refresh rate between your graphics card’s GPU and the monitor will become synchronized. As a result, you won’t experience any screen stuttering and tearing in the 30Hz – 165Hz range; moreover, the input lag is decreased. There are five OSD buttons placed at the bottom right bezel. When not in the OSD menu, these buttons can be used as shortcuts for different commands. The first one allows you to swap between the input source. Next, you can adjust the volume of the built-in speakers, enable and disable the Ultra Low Motion Blur feature, open the OSD menu, and the last one is the power button. The ULMB feature is included with the Nvidia G-Sync, although it cannot be used at the same time as the G-Sync it is useful if you experience blurring of fast moving objects in video games. Under the luminance settings in the OSD menu, you will be able to adjust common parameters such as contrast, brightness, and three levels of gamma setting. The Game Color option allows you to increase color saturation between 0 and 200, 100 being the default. At 0, the image becomes black and white, while at 200 colors become oversaturated and lose on shade variety. It’s an interesting feature to play around with nonetheless. The Shadow Control feature is exceptionally useful in very dark video games. It increases the visibility in the dark parts of the games by brightening up the black levels allowing you to clearly see your enemies lurking in the dark. The Overdrive feature provides you with the ability to set five different levels for the response time speed including Off, Weak, Light, Medium, and Strong. Under the Color Settings, you can set five different Color Temperature modes including Warm, Normal, Cool, sRGB, and User in which you can manually configure red, green, and blue color levels. Additionally, you can increase or decrease the levels of the blue light which is very useful when you wish to relax over an e-book at night. The design of the AOC AGON AG271QG features a matte-black cabinet with brushed texture at the bottom bezel while the screen is covered with a light matte coating to prevent sunlight reflection. The metallic base provides stability and lots of ergonomic functionalities including height adjustment by 130mm, swivel ability to the left and right by 20 degrees, pivot function, and tilt by 25 degrees. The monitor is VESA mount compatible with 100mm x 100mm holes pattern. This gaming monitor is around 16.5mm thick and at the right side of it, you will find a headphone hanger where you can conveniently place your headphones when you’re not using them. At the right side of the monitor, along with the headphones hanger, you will find a microphone jack, headphones jack, and two USB 3.0 ports. The yellow one supports fast charging. At the back of the monitor, there are two more USB 3.0 ports, one of which is upstream and needs to be connected to the PC. Other ports include an HDMI 1.4 and the DisplayPort 1.2a which supports the Nvidia G-Sync technology. 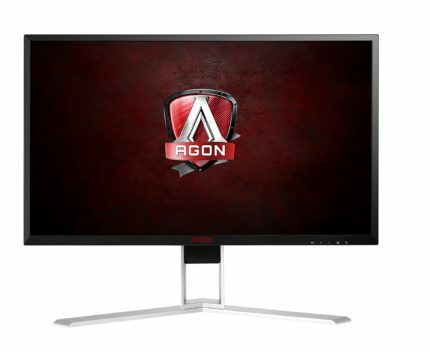 At the time of writing (February 2017), the AOC AGON AG271QG is available for $740 which is quite a reasonable price considering the impressive 165Hz refresh rate, Nvidia G-Sync technology, stunning image quality with vibrant and accurate colors of the true 8-bit IPS panel, many exclusive features, and a solid but elegant and versatile design. 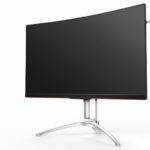 All these features make for an amazing gameplay performance worth every penny; if you’re on a tighter budget, you should check out the more affordable version of this monitor, the AOC AGON AG271QX. It’s almost $200 cheaper, but it has FreeSync instead of G-Sync, a bit lower refresh rate at 144Hz, and a TN panel instead of an IPS. 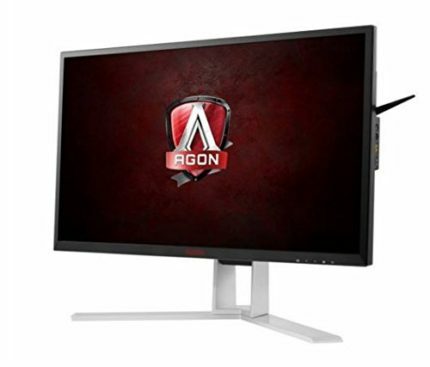 The AOC AGON AG271QG is an excellent gaming monitor with all the key features a demanding player might desire including 165Hz refresh rate, Nvidia G-Sync, quick 4ms response time, and vibrant and crisp 1440p picture quality. The design is appealing as well with many ergonomic features and a sleek appearance.